Those who have been indulging in an abuse competition against Prime Minister Narendra Modi are now “insulting” the bravery of the security forces, Union minister Mukhtar Abbas Naqvi alleged Saturday. Naqvi’s remarks came a day after Prime Minister Narendra Modi used Congress leader Sam Pitroda’s remarks questioning the government’s aggressive action against Pakistan after the Pulwama terror attack to tear into the Opposition, saying they reflect the Congress’ unwillingness to respond to forces of terror. 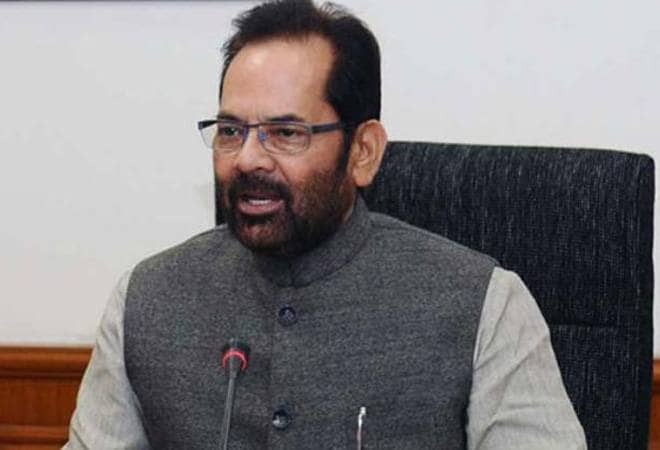 A political competition is going on everyday to create confusion on nation’s dignity and security through fake and fabricated agenda , Naqvi told reporters here. The people of the country will teach a lesson to this “gang” for insulting the bravery of the security forces of the country, he said. Naqvi alleged that the Congress leaders are mourning the deaths of terrorists. Demanding proof, raising question on the killing of terrorists — what an amazing ‘Pakistan-Congress Jugalbandi’, he said. The gaali gang that has been indulging in an abuse competition against Prime Minister Modi is now insulting bravery of the country’s security forces, he alleged.